Our Kitchen Remodel Services Can Transform Any Home. How much time do you spend in your kitchen? The kitchen is often at the heart of every home. That’s why you shouldn’t settle for one that doesn’t fit your or your family’s needs. Kitchen remodeling can give your home the kitchen it deserves. Give us a call today at (570) 266-8208 for a kitchen remodel in Wyoming and Scranton, PA and the surrounding area. We can provide everything from a simple fixture upgrade to a complete rebuild. Our experienced builders know just what it takes to get you into the kitchen of your dreams. There are many benefits to having your kitchen remodeling done, from simply having the space to cook for you and your family, to the attainment of an overall increase in your home’s value. Here at Independent Construction, we have one mission, and that’s to provide you with the absolute best home improvement solutions at the best prices. We can even help you finance that dream kitchen of yours! 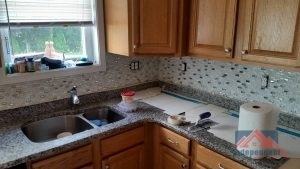 Whether You Need a Backsplash or a Complete Remodel, We’re Your Team. So, you’ve made the decision to upgrade to a new kitchen with kitchen remodeling. What now? Well, the first thing you need to figure out is what type of design or style you would like. Do you want granite counter tops? Do you want to go with all stainless appliances and fixtures? There are a lot of options out there for you, the homeowner. At Independent Construction. we can walk you through all the different options and choices to get the kitchen remodeling project that’s perfect for you. Vintage: Do you love the kitchens from the 1950’s era? The vintage style is homey, warm, and inviting. Tuscan: Tuscan or Italian is perfect for those who want a welcoming kitchen that’s spacious and functional. If you love to entertain, this could be the perfect style for you. Western: The western or rustic kitchen is renowned for its simplicity and exposed woodwork. Modern: A modern or contemporary kitchen is great for those who want simple clean lines, but still need the functionality of more relaxed styles. Whatever the size of the project you’re looking to have completed, we can take care of it. Give us a call today at (570) 266-8208 for a kitchen remodel in Wyoming and Scranton, PA and the surrounding area. 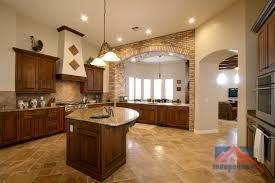 At Independent Construction, we are your trusted source for home remodel projects. Updated on March 19, 2018 at 10:49 am by Independent Construction.